★★ You need high ranking in Google? We offers you the most powerful Social Signals ever ★★ 100% Penguin & Panda Safe ★★ Customer support 24/7 (Your messages will be replied in less than 24 hours). 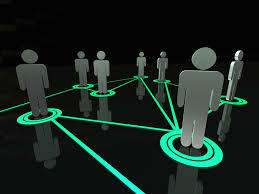 60-70 Powerful auto backlinks will create forever and it will help you to get PR. World's best SEO Social Signal. World's High PR (9-10) Backlinks. ★We send any kinds of Google+1 vote,FB Website like and Tweets. Please don't let someone take your money away from you by ordering their gig for 30 Google=1 VOTE,30 FB website likes and 30 tweets for $2. Many of them will not send you what you ordered. Consider the quality of service instead. In my service, I assure you that you will receive what you ordered. Please don't think that low rated seller can't do better than high rated seller. Low rated seller also do well like high rated seller. Because they want to increase their sell. That is why they do better than high rated seller. Just trust and order hope you will be satisfy. Boost your website PR9, PR10 Social SEO is ranked 5 out of 5. Based on 11 user reviews.